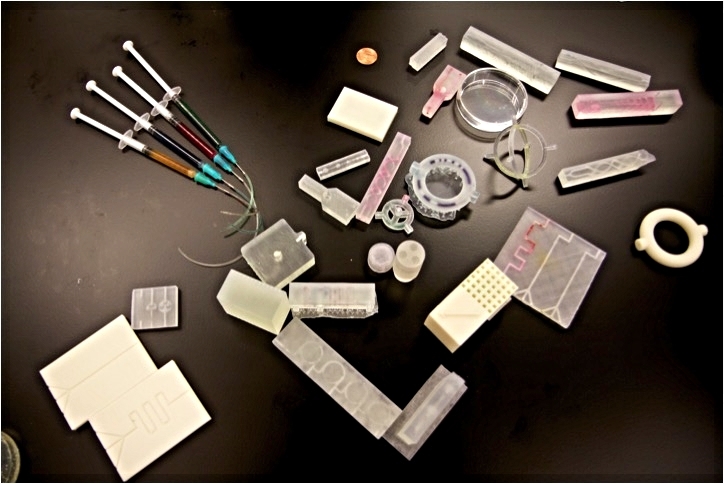 These o/s microfluidics devices were made to further explore the lab-on-a-chip idea to culture live organism on 3d printed parts. 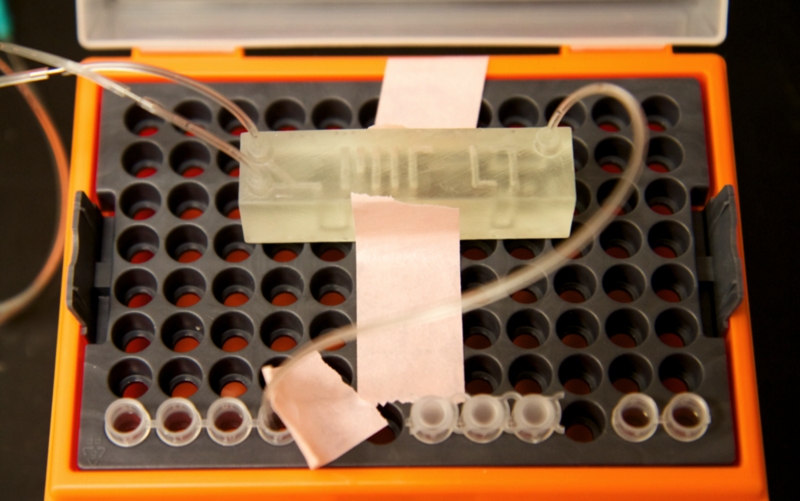 traditionally made through stereolitography, microfluidic "lab-on-a-chip" technologues are part of a maturing field of research that involve miniaturizing fluidics systems to mix, move, separate or otherwise process liquids, making it possible to perform bio experiements on devices the size of a stamp, not a room. 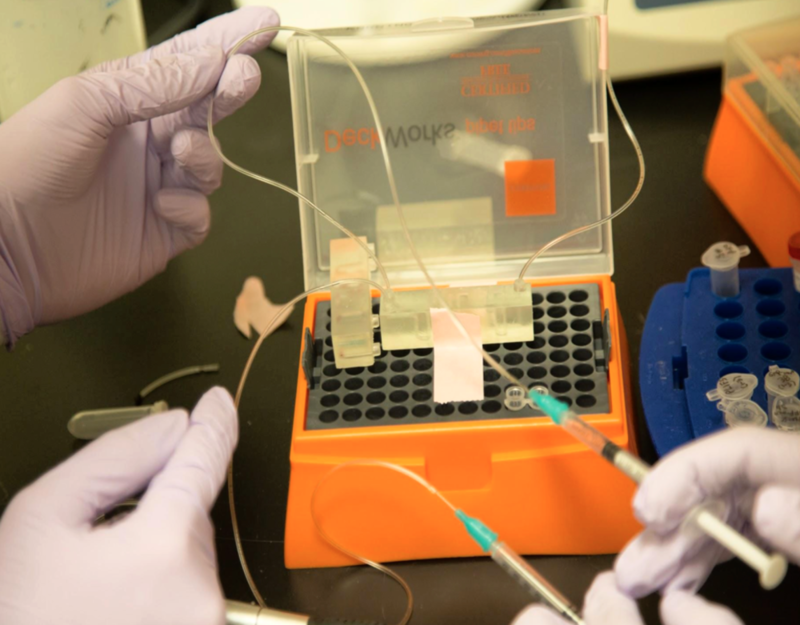 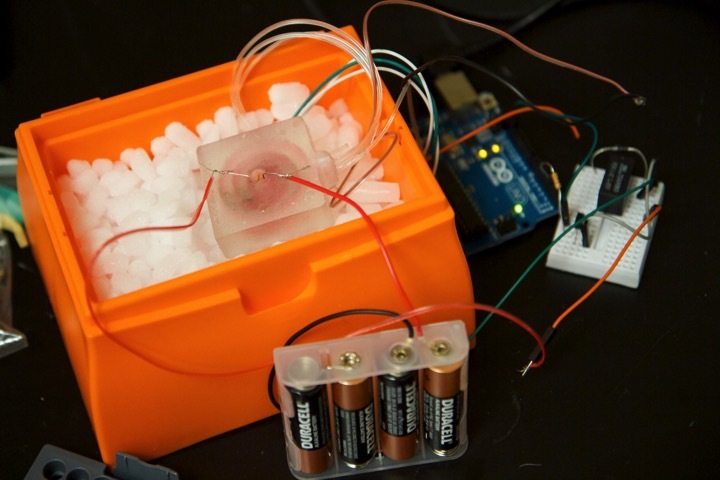 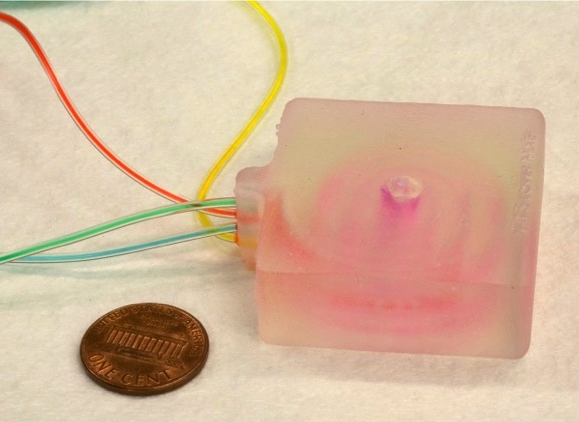 As 3d printing these device is new area of research , these tests Are exploratory and still in progress in the hopes to achieve self-contained microfluidic cell culture systems.